Today I have prepared for you a very special post. I recently discovered the brand Daniel Wellington and am in love with my new watch: Classic Bristol. Keep on reading to find out more about the brand and what I think of the Daniel Wellington watches. In my opinion, all of the watches that are offered in the website look really stylish but I wasn’t sure of their quality until I received mine. As I told you, I got the Classic Bristol lady version, which pleasantly surprised me! First of all, I found it awesome that I could design my own watch by choosing the case as well as the strap colour and material. When it comes to the case you can choose between silver or rose gold, whereas for the strap- there are many different materials and colours! If you’re interested, I chose mine in rose gold with a dark brown strap. So check them out and leave a comment below to tell me which option is your favourite! Also if you have a tinier wrist (like me), you would want to know the dimensions of the case so it doesn’t look too big on your hand. The Classic Bristol‘s case diameter is 36mm and the thickness is 6mm (that’s the women version though!). The strap is made out of high quality genuine leather and the overall look and quality of the watch is really worth it! There were no problems with the delivery: the standard shipping for Europe was really fast (3-4 days) because I ordered it on Friday and it was at home on Monday (though take into account the fact that I live in the Netherlands)! I will soon show you how the watch looks on my wrist and will share with you a couple of tips on how to style it with clothes and accessories! Have a great day! 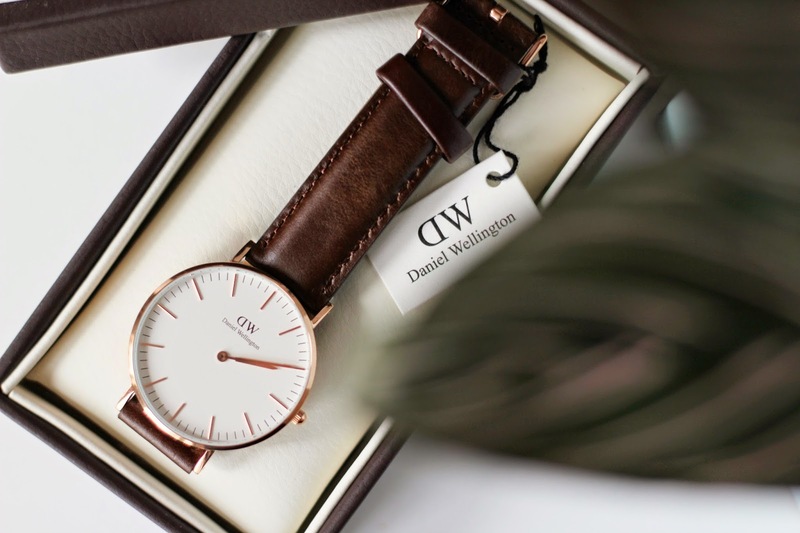 For more info about Daniel Wellington and the brand’s products click here. And especially for you, my followers and readers, you can get a 15% discount on your purchase by using my promo code: quitealooker. I have a similar in black! It's such a pretty watch! Honestly, I'm a bit jealous. I've been looking for one like that for quite a while! This watch is so pretty! I've the same model, I like it! I'd love one of his watches!